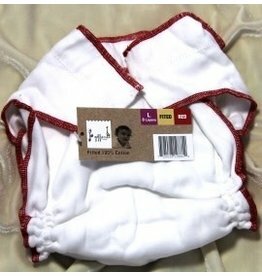 A no closure fitted diaper made of 100% cotton. Very similar to using a prefold, but with elastic! Use with a Snappi, Boingos, or simply wrap around baby. Infinitely adjustable to get a perfect fit!